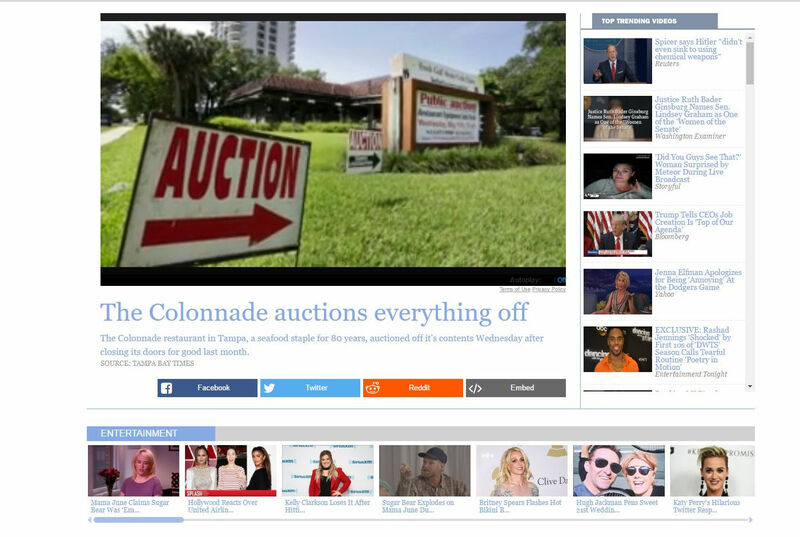 Tampa Liquidation featured live on FOX 13 News. 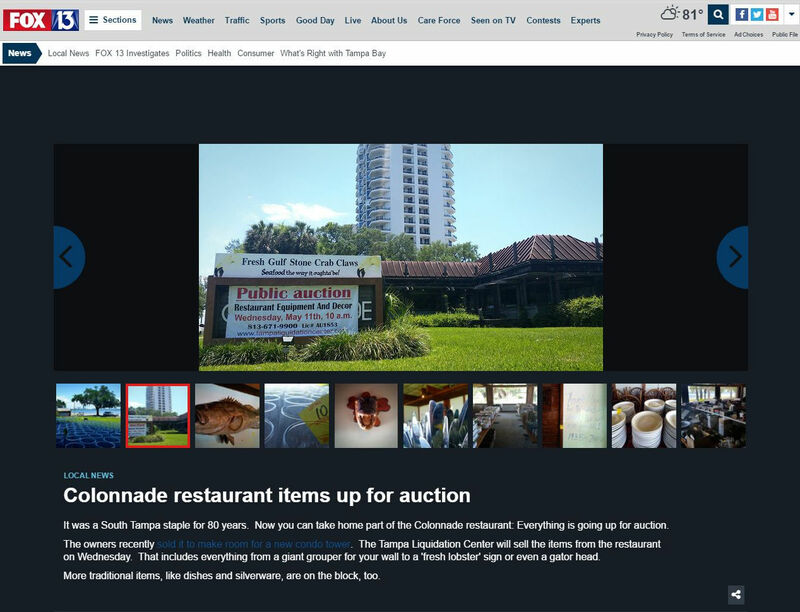 Tampa Liquidation featured live on 10 News Tampa Bay. 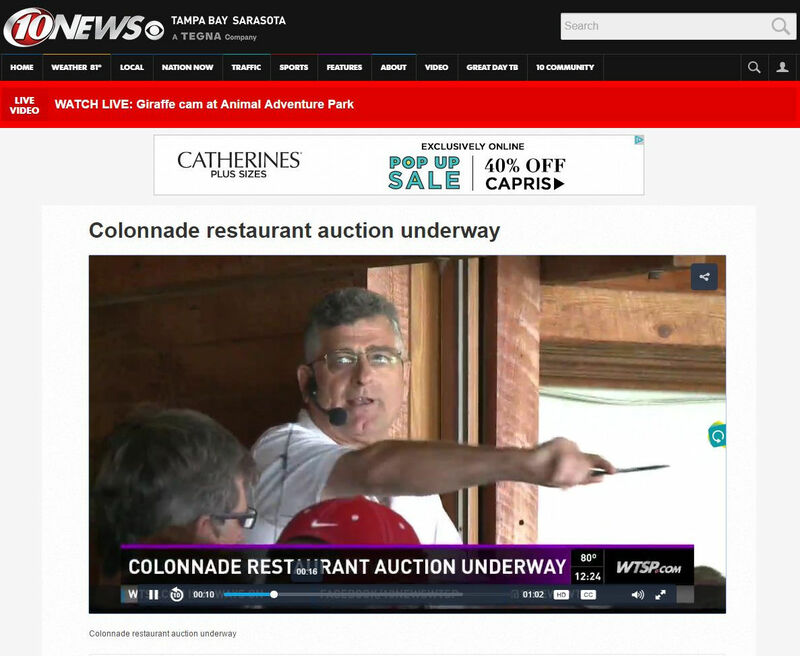 Tampa Liquidation featured on Tampa Bay Times for the sale of The Colonnade Restaurant. 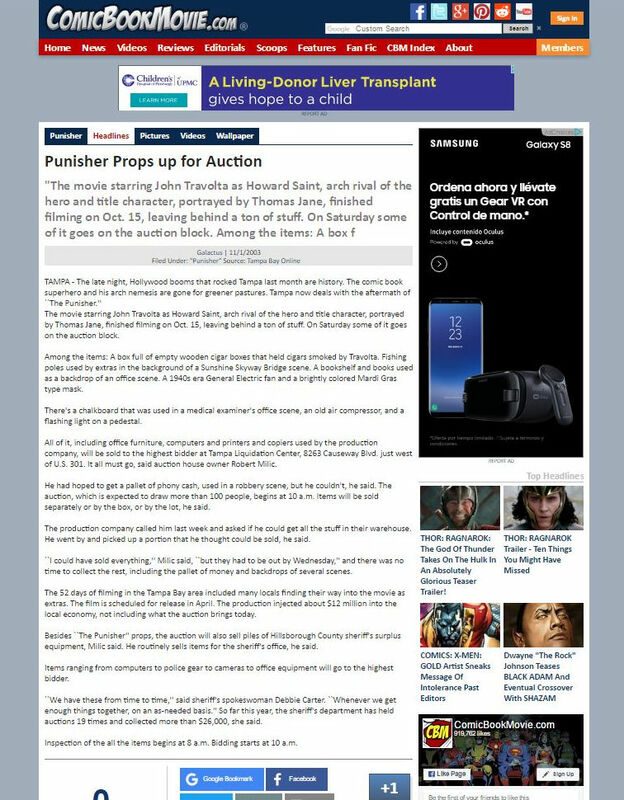 Tampa Liquidation featured for the liquidadtion of The Punisher Set and Props.